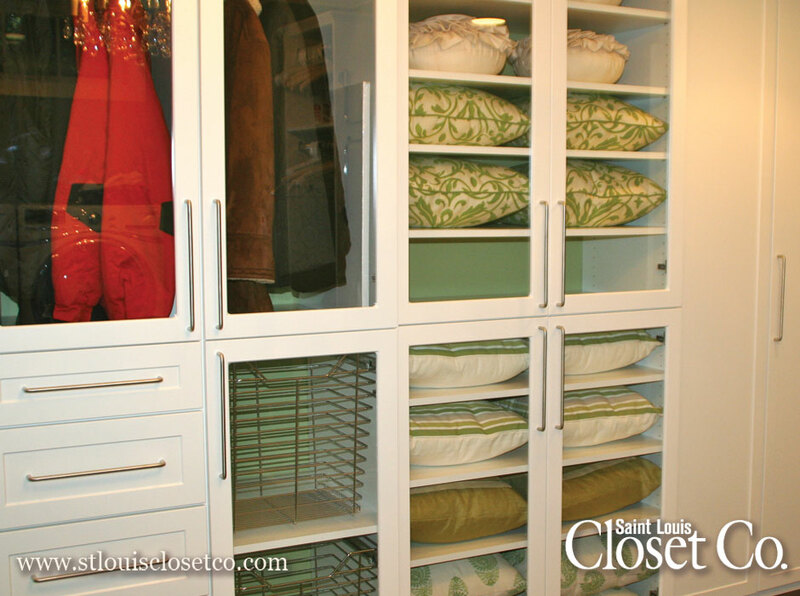 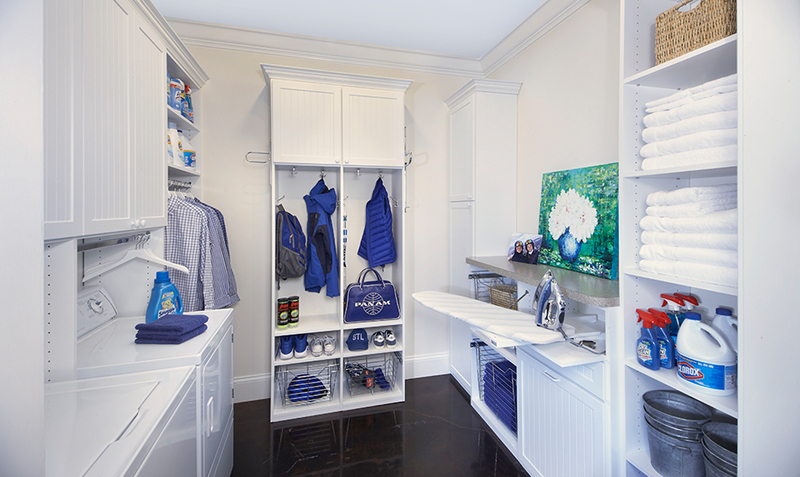 Organized Living | St. Louis Laundry Rooms | Saint Louis Closet Co.
An Organized Laundry Room Makes for an Organized Home! 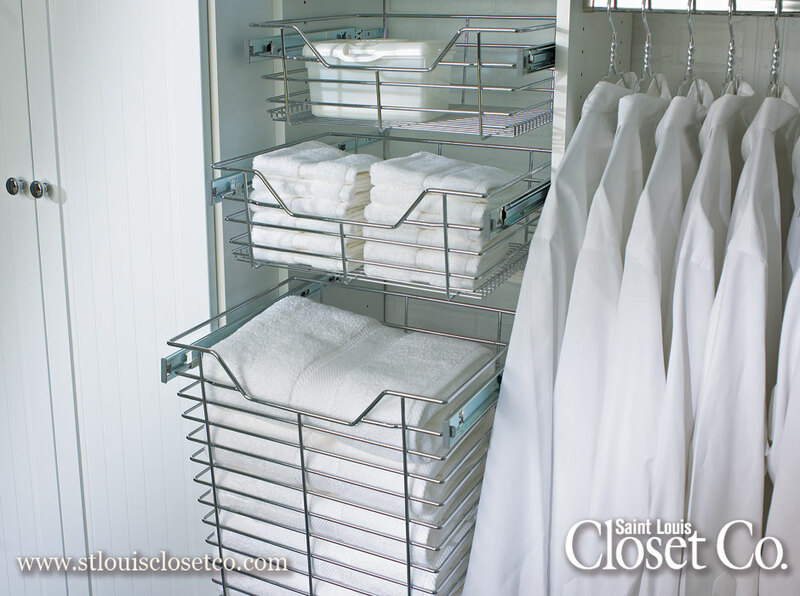 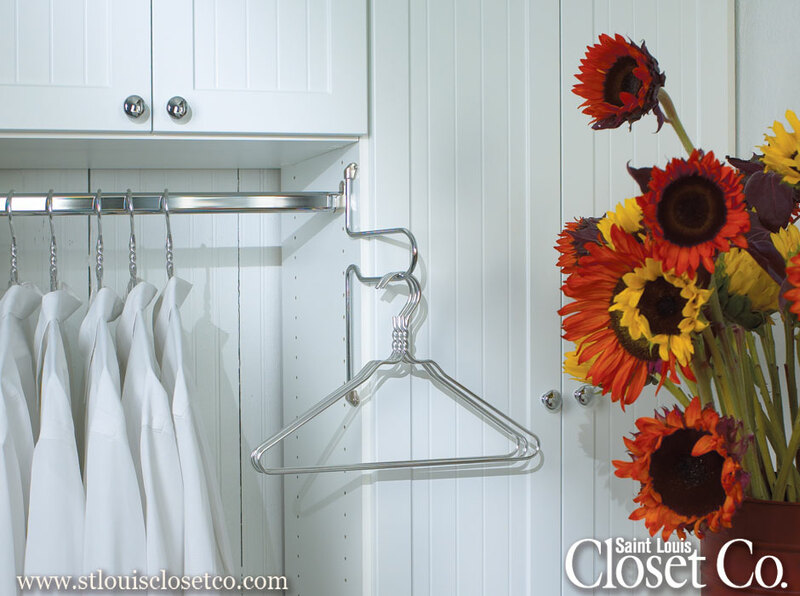 Get the most out of your weekly laundry experience with an adjustable customized laundry room from Saint Louis Closet Co.! 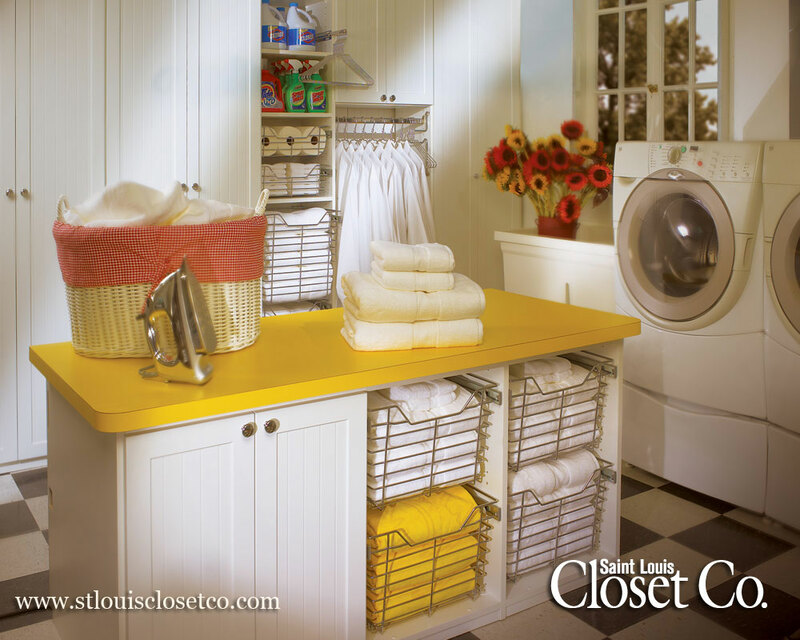 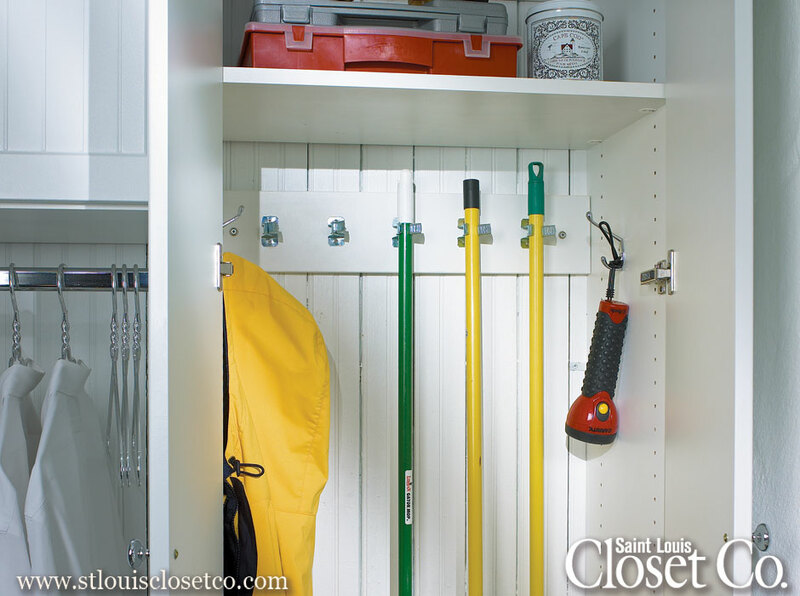 There are all sorts of available options for a Saint Louis Closet Co. custom laundry room, including baskets, tilt-out laundry hampers, fold-out ironing boards, broom and mop hooks, Wilsonart® Countertops, just to name a few. 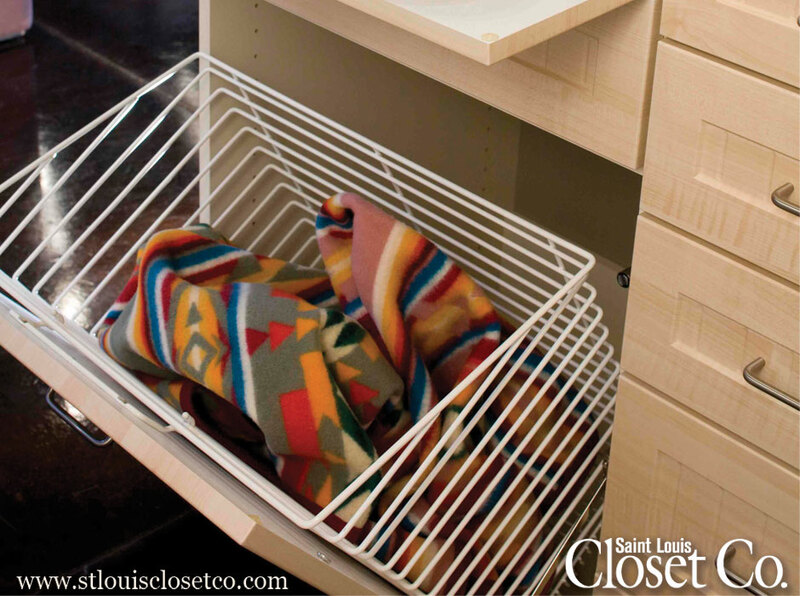 Baskets are a great way to keep laundry sorted, especially if each family member has their own. 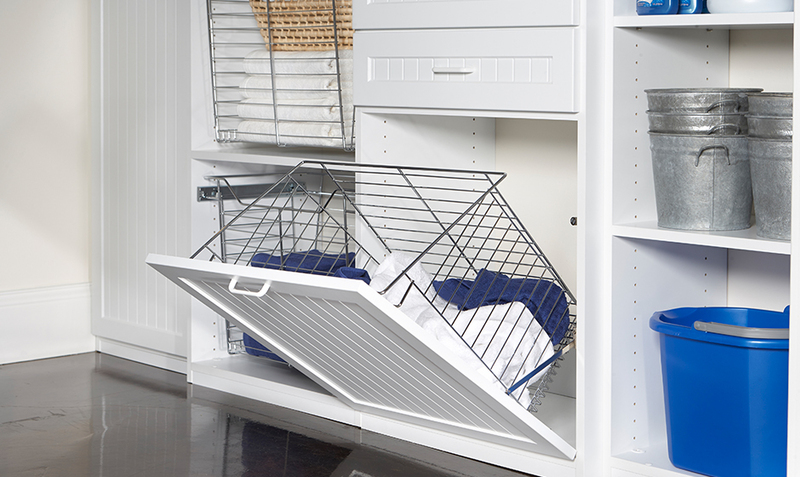 With 100% adjustability, you can adjust shelving and rods to meet your changing needs. 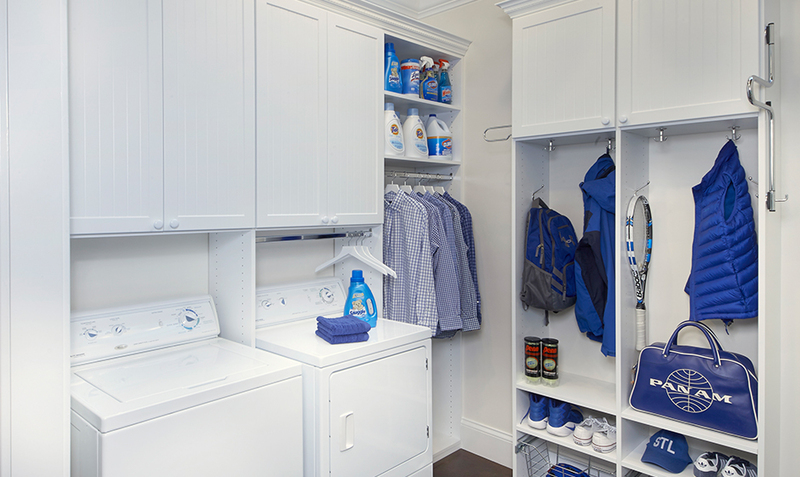 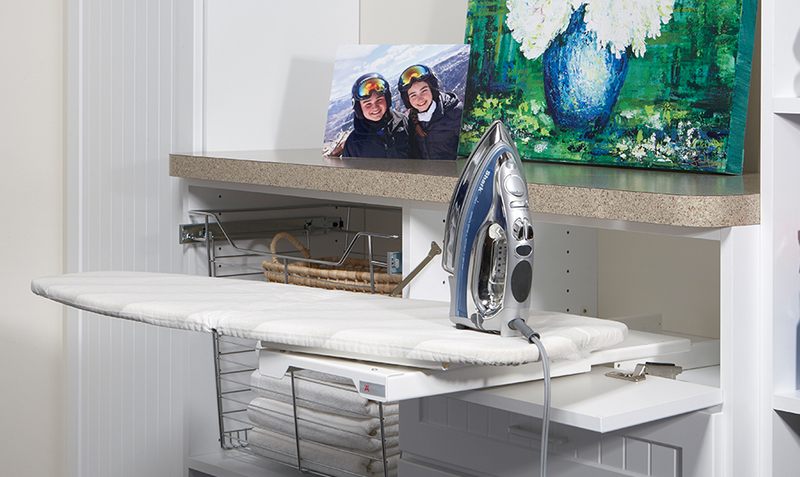 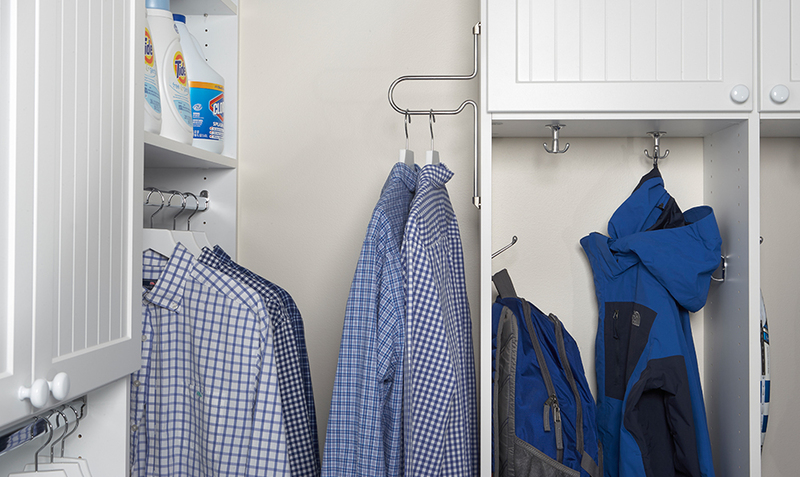 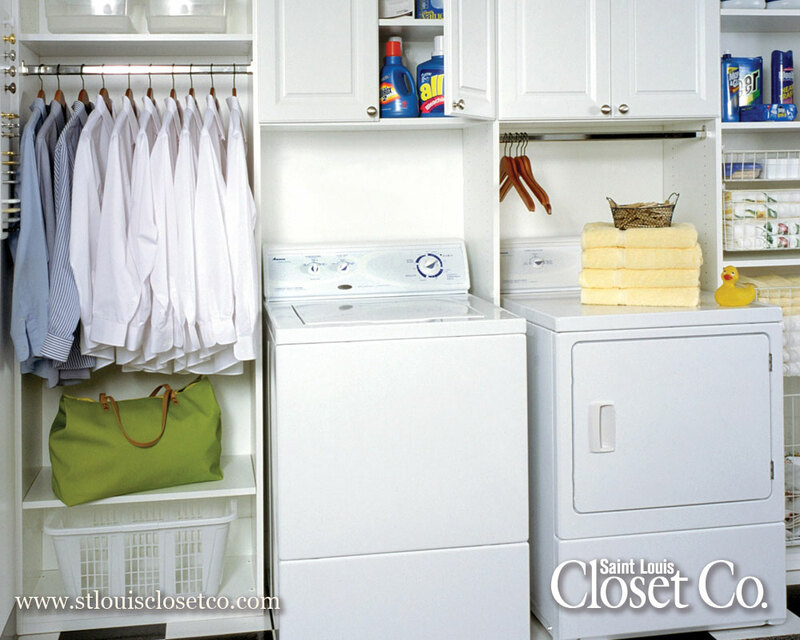 Create your dream laundry room and make the weekly chore easier and more efficient. 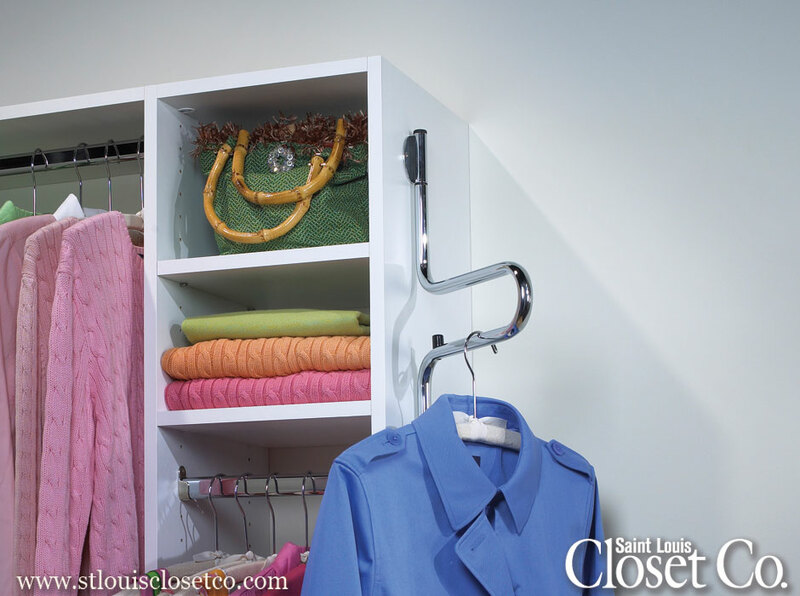 Call us today at (314) 781-9000 to have one of our talented designers give you a free in-home estimate.